Cleanliness is just as important as honesty. In fact, if we don’t maintain a clean environment, we’d end up getting a bunch of nasty diseases. 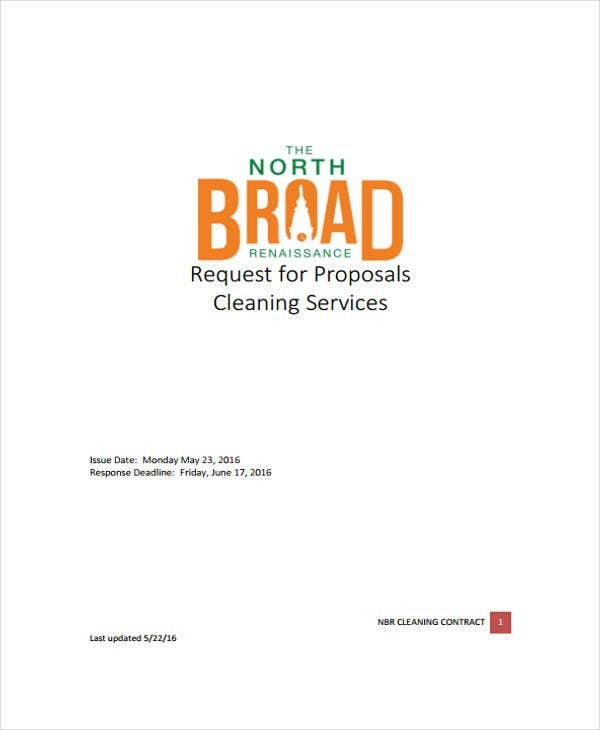 Since keeping things clean is vital for survival, agencies that offer cleaning services would often send a client business proposal samples, to companies and numerous establishments. 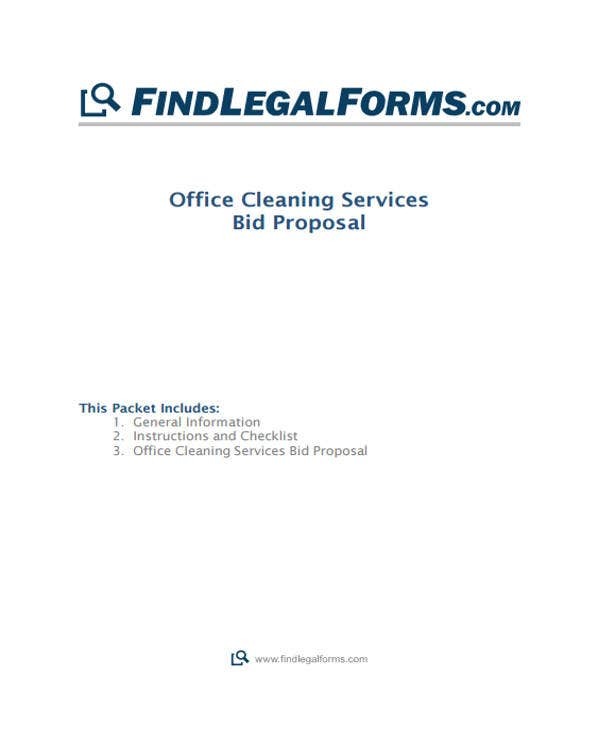 Now, a cleaning service proposal template is quite different from a business loan proposal. Both are certainly proposals, but they have different purposes and functions. One is a contract for borrowing money, while the other serves as a contract for partnership or employment. Today, we’ll be focusing on the cleaning side. 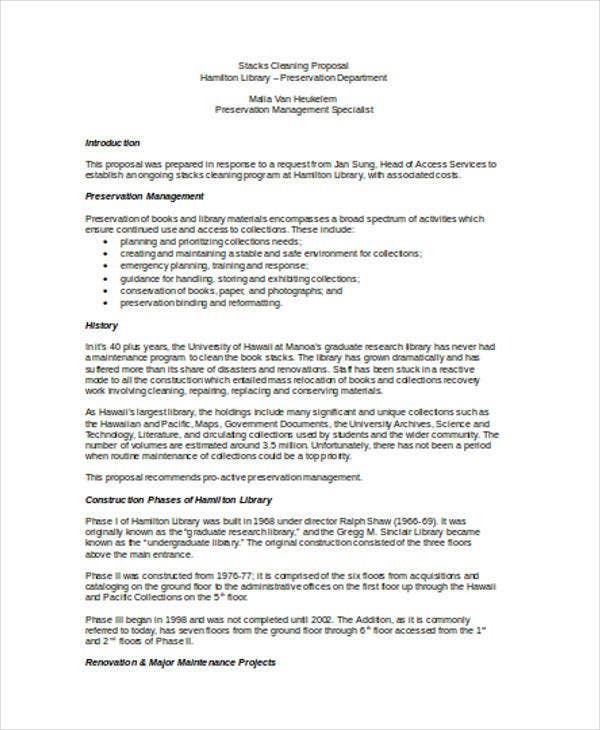 Since they have a similar structure, you can use free proposal templates and consulting proposal templates as reference. Determine the type of work you’ll be doing. Include whether you’ll be dusting, sweeping, vacuuming, or other cleaning procedures. Calculate the total estimates the task would cost. 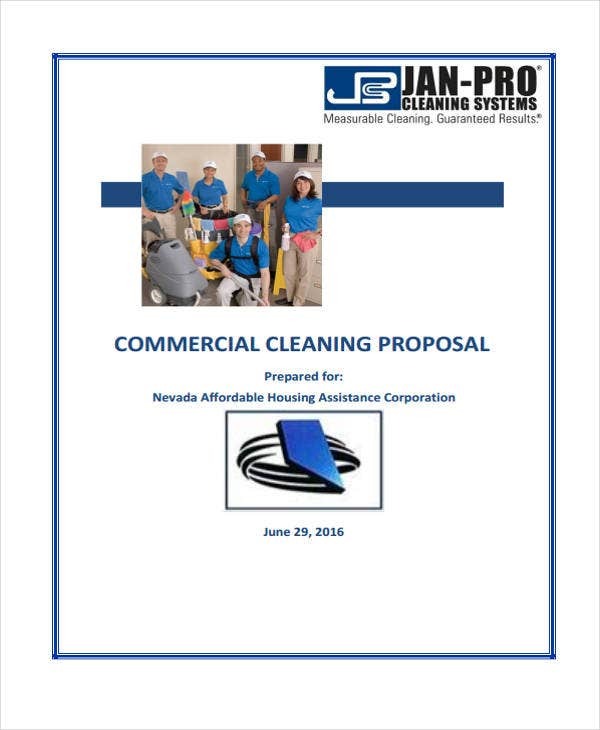 Providing a janitorial cleaning service for companies and businesses can be a lucrative business in itself. You could earn thousands, and millions, given the right circumstances and if you’re employed in a prestigious company. 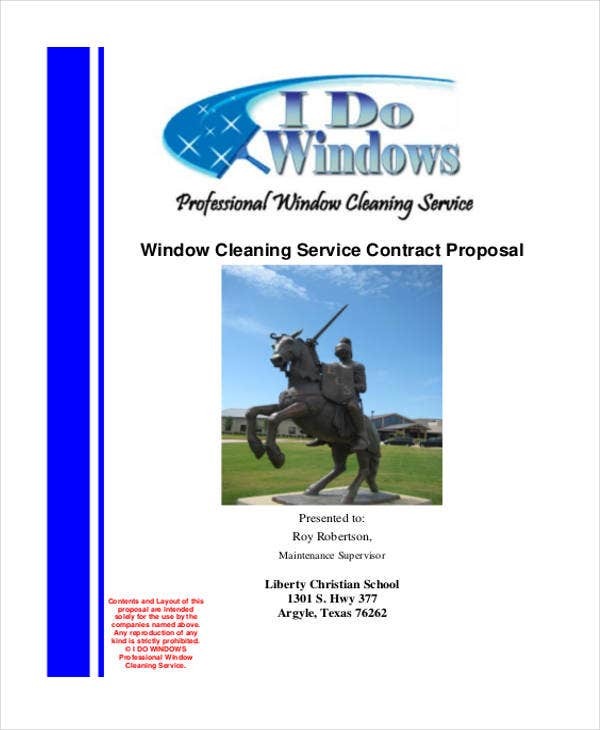 Include your niche services, like window washers, water damage clean-up, and maid services. Be very straightforward and avoid using flowery words. Learn from contractor proposal templates and other types of proposal template. Include details about your agency like environmental issues training, quality control, and safety plans. 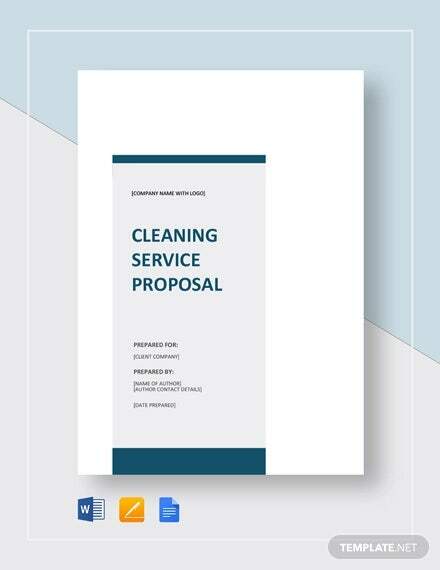 One of the most important questions that one could ask about making a cleaning service proposal is what do you include in it? One could say that it consists of numerous details that are quite intimidating. 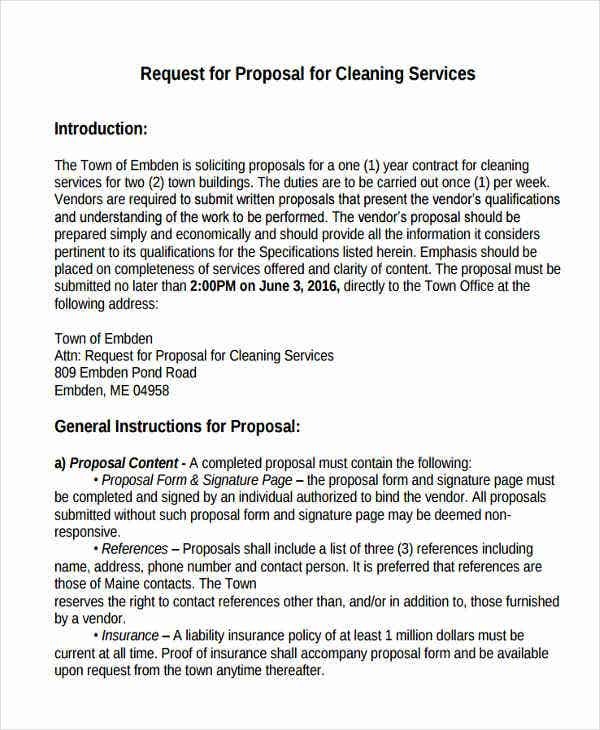 To be quite fair, a cleaning service proposal is indeed quite lengthy. It is a proposal, after all. Cleaning Coverage – This entails the places that will be cleaned; for example, the lobby, the comfort rooms, and the offices. Specialty Services – Always include the specialty services, as customers consider this a bonus. Templates – Prepare a draft, or a template, for the customer, the same way you’d prepare one for business proposal templates and budget proposal templates. 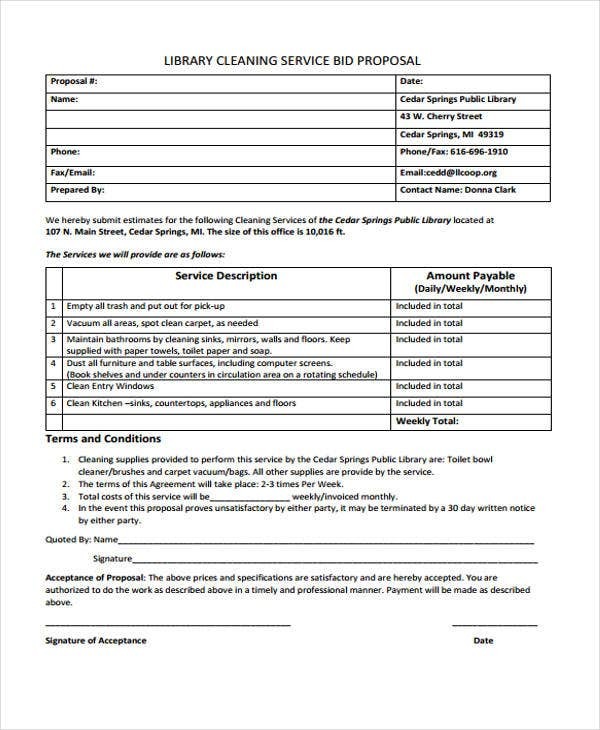 Schedule – Include the allotted time and date for the cleaning to initiate so as to make the people in the establishment aware of it. Also include the equipment that your agency will be utilizing for the cleaning service. 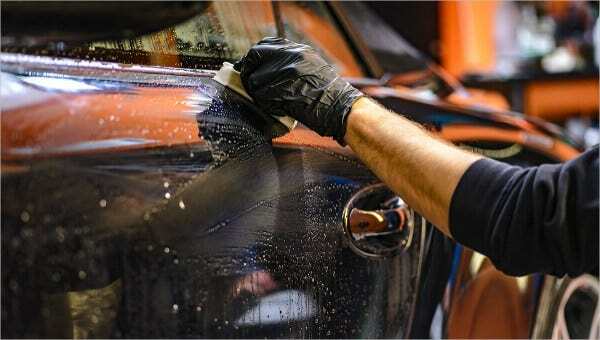 Specify things like the type of air freshener, gloves, and window sprays.